Born in Hartlepool, County Durham, England, Eric Atkinson was educated at the Hartlepool College of Art and the RoyalAcademySchools in London, England. Before he moved to Canada in 1969, he led the Fine Art Department at the Leeds College of Art in Yorkshire. Settling in London, Ontario, Atkinson began a longtime association with FanshaweCollege, serving variously as Chairman of Fine Art (1970), then Dean of the Faculty of Applied Arts (1972 – 82), and finally Professor of Fine Art until his retirement in 1994. One of Atkinson’s formative experiences was seeing, at age seven, the Aurora Borealis, which he described as “luminous streamers on the horizon.”1 This unforgettable sight helped shape his fascination for nature and his passion for capturing atmospheric phenomena in his art. Atkinson’s intensive study of the water, weather, and light of and around Lake Huron has, over the course of his artistic career, generated a large body of sketches and paintings. 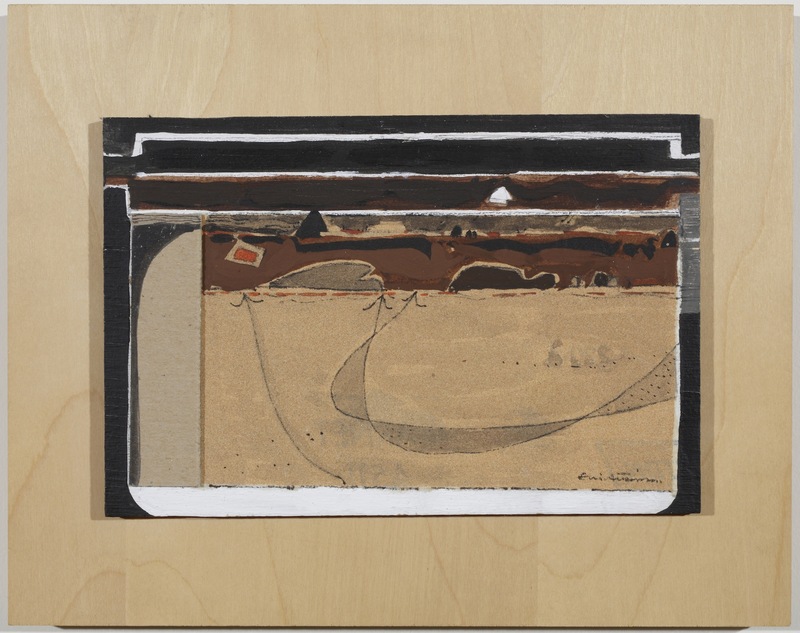 In Huron Series 4 and 6 (1994), he employs a more abstract approach to his familiar subject. He also experiments with the expressive effects of sandpaper, demonstrating an interest in capturing texture that has, in such recent works as Blue and Silver Huron (2012), expanded to include a mixture of sand and acrylic on canvas.